Jake Paul and Team 10 take on the world! Why See Jake Paul and Team 10? Jake Paul and Team 10 Take Over! You've seen then multiple times on your screens, and now's your chance to see them live! 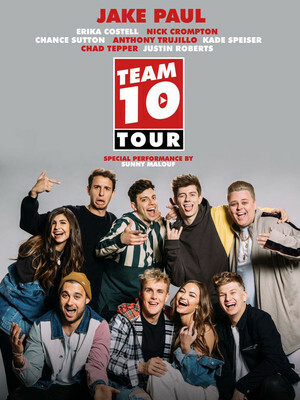 Jake Paul and Team 10 are hitting the road on their debut world tour. Kicking off with 21 date in America, you can expect them to tear up the stage with the same level of craziness and hype which got them to where they are today. It's going to be an unforgettable show; there'll be exciting live music, special guests, games and challenges and also audience participation! Jake Paul rose to fame on the now-defunct application vine. Once vine had its final farewell and Jake had mustered up 5.3 million followers, his personality only continued to grow when he stepped onto the platform of YouTube. 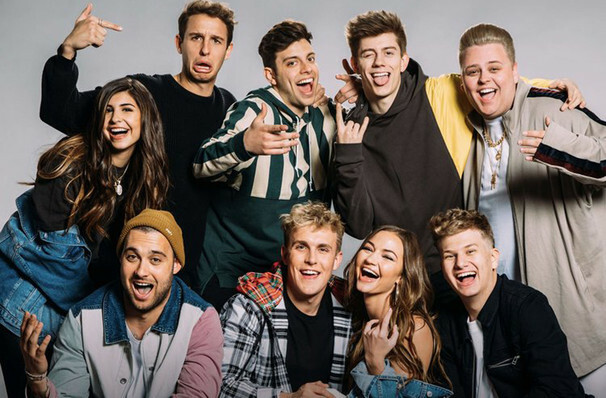 In early 2017, Jake launched Team 10 which consists of; Jake Paul, Nick Crompton, Erika Costell, Kade Speiser, Chad Tepper, Anthony Trujillo, Chance Sutton, Justin Roberts and Ben Hampton. You'll know once Jake Paul and Team 10 hit your town - so make sure you don't miss out on the action. Sound good to you? Share this page on social media and let your friends know about Jake Paul and Team 10 at The Ritz. Please note: The term The Ritz and/or Jake Paul and Team 10 as well as all associated graphics, logos, and/or other trademarks, tradenames or copyrights are the property of the The Ritz and/or Jake Paul and Team 10 and are used herein for factual descriptive purposes only. We are in no way associated with or authorized by the The Ritz and/or Jake Paul and Team 10 and neither that entity nor any of its affiliates have licensed or endorsed us to sell tickets, goods and or services in conjunction with their events.